On the Journey with Mark W. Gregory, Ph.D.
Over the last two years, I've had the privilege of teaching as an adjunct professor in seminaries in Central America: particularly the Tomas Canady Seminario Teológico de Honduras and the Seminario Teológico Bautista de Guatemala. 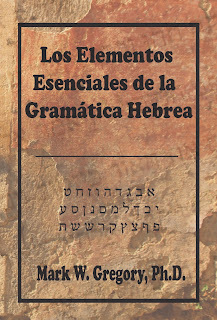 In the process of teaching Hebrew in the seminaries I developed a slate of materials which now is in book form: Los Elementos Esenciales de la Gramática Hebrea. I'm praying that this simple text will be helpful to the students in those seminaries and also other Central and South American seminaries. 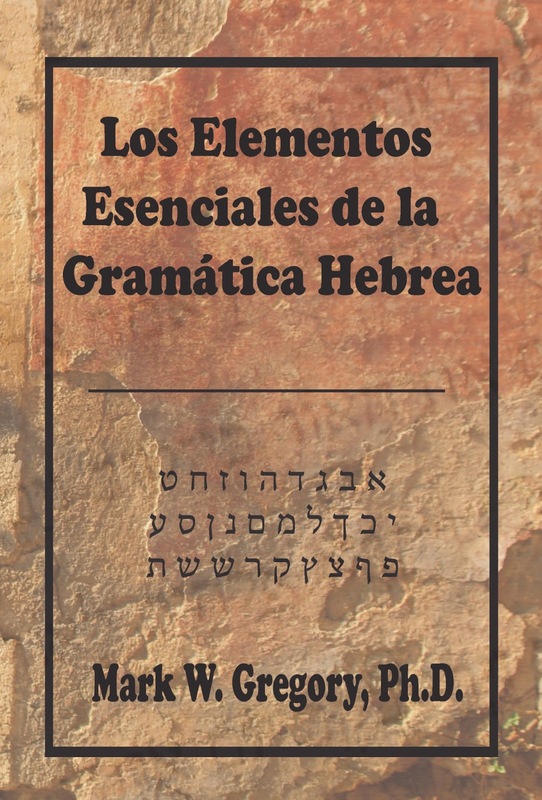 This week I'm beginning an advanced class in order to teach a number of the students how to teach an introduction to Biblical Hebrew. The Lord is opening up some amazing doors! The Crossing Ward - a reader's response in a picture! I always appreciate hearing from readers of my books. Here's a photo taken by a friend who recently read The Crossing Ward. Thanks Leigh Ann for the encouraging words and the picture. 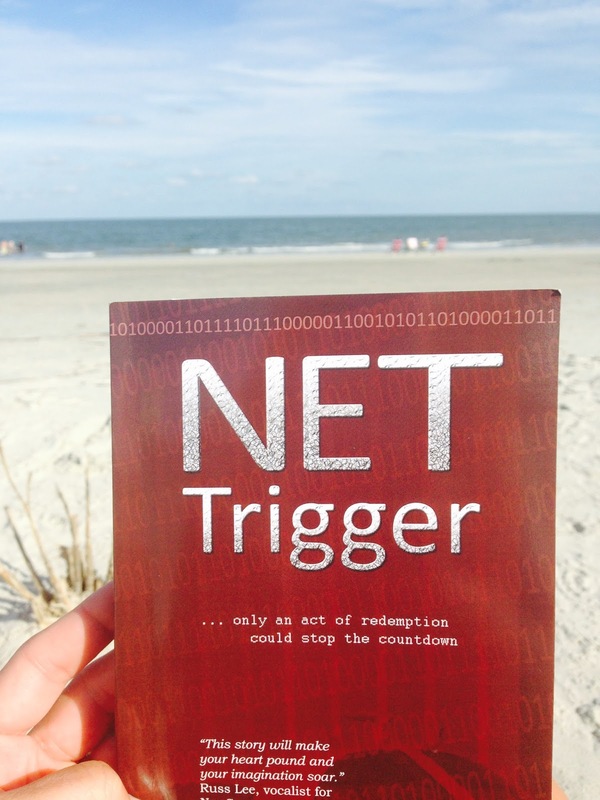 Net Trigger on the Beach! Received this picture from friends on vacation just a couple of weeks ago. 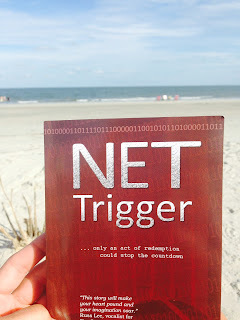 Net Trigger is still gaining good comments. 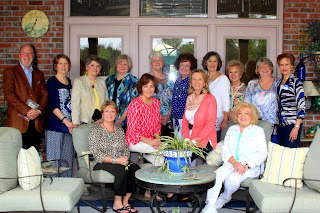 Thanks to Leigh Ann Bradey for her kinds words: "Loved the book, could not put it down. I read it in less than a week always a good sign of a good read." The Crossing Ward may be found at Amazon with this hyperlink. ... finished The Crossing Ward by Mark Gregory and gave it 5 stars It was AWESOME!!!! Way to go Dr. Mark!!! Loved it! Interesting characters, story line, and a great story of faith. A book that keeps you interested all the way through. 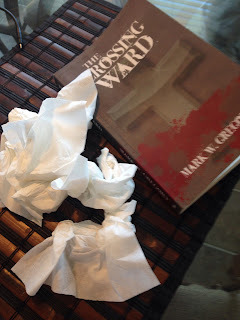 I was totally engrossed in the plot of The Crossing Ward. Great suspense in each chapter...I couldn't put it down. It was good!! I've gone back to read his first one Nettrigger. Loved, loved, loved this book!!!! Waiting on the next and the next and the next Dr. Mark. I could not put this book down. The mystery and suspense made me want to keep reading! 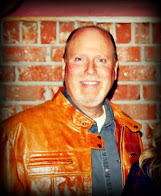 It also was a reminder to me that those who have gone before me are with our Heavenly Father and awaiting my arrival. ... Can't wait for another book from this author!